In New York, there are many health care providers that are experienced and willing to care for your loved one with additional needs. If you’ve been having difficulty finding the right dentist, don’t give up. With guidance and advice, you will be able to find a great dentist that can fit your loved one’s needs and will be someone you can build a strong relationship with throughout the years. A special needs dentist is someone who has had 2-3 years of additional schooling in order to properly care for patients with special needs. Dentists that specialize in caring for patients with additional needs will be the first people to reach out to when you begin your search. Finding them can sometimes be difficult which is why we’ve gathered resources to help you find the perfect dentist. New York has plenty of ways to find a great special needs dentist. Special Needs of New York, New York Zero-to-Three Network, and Include NYC, all have resources available to you to find a dentist in your area. These organizations do not directly deal with dentistry but the seek to assist anyone with special needs and will be able to help you access information to dentists who specialize in additional needs care. Other resources worth contacting are your local collegiate dental clinics. Many universities and colleges have dental clinics who will serve patients with special with needs, often times for lower prices. There are also national resources that you can reach out to for information on special needs dentists. The American Dental Association has a lot of information about dental care for patients with special needs. They also have a tool for you to search for dentists by location and specialty. The National Down Syndrome Society is another great resource for information and can help get you in contact with special needs dentists and health care providers. As you utilize your resources and begin your search for the right dentist, there are some things to consider when you work towards finding the perfect one. What experience do you and your staff have working with patients with special needs? Ask your dentist if they care for any other patients with special needs. This can assure that your dentist knows what to expect and give your child the care they need. Do you and your staff have any specialized clinical training? Pediatric and special needs dentists often have an extra 2-4 years of special training. This extra training will help them be able to care and accommodate for your child as well as help them guide you for successful dental care at home. These are just a couple of questions to get you started, but be sure to ask anything that is on your mind. Potential dentists should have specific answers to the questions you ask so you can assure that they may be a good fit. Sometimes dental patients with special needs have strong anxiety which can cause them to refuse dental treatment. In these cases, they may benefit from dental sedation during their important. Sedation can help keep the patient in a calm, relaxed state. 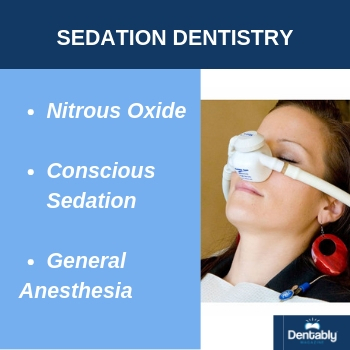 Nitrous Oxide: Nitrous Oxide is a safe anti-anxiety medicine that is inhaled through a nose mask. It’s generally recommended that this method is only used on children who are older than five. In some cases, a patient will not respond to nitrous oxide and another method may need to be used. Conscious Sedation: This method involves the use of sedatives to produce a calm, sleepy state without losing consciousness. The sedative is given as a pill or liquid one hour prior to the procedure. General Anesthesia: General Anesthesia involves the loss of consciousness and is usually the last resort for those who don’t respond to the first two options. It needs to be administered in a hospital or fully equipped healthcare center. It has a number of health risks and often is avoided for regular dental cleanings and procedures. If your child or loved one has any other conditions dental sedation may interfere. It’s important to check with your dentist beforehand to make sure that dental sedation will be the safest option for your child. Reaching out to a potential dentist for the first time can be intimidating because you want to be sure the dentist you choose is perfect for your child or loved one. 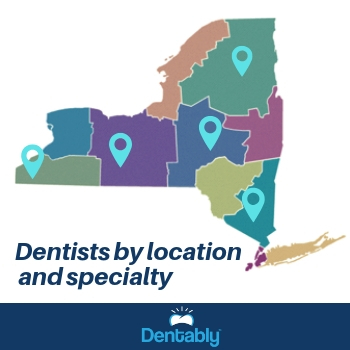 Our team has researched many dental offices in New York and found the practices that have mentioned their ability to work with patients with special needs. This list can hopefully help you find the great dentist you’ve been searching for. If you see a dental office that needs to be included on this list, please let us know! Dental Office:	Robert J. Dietz JR. D.D.S. Dental Office:	Distinctive Dental Services of New York, P.C. Notes:	CFDS will use your health/clinical information so that we can bill and collect payment from you, a third party, an insurance company, Medicare or Medicaid or other government agencies. Notes:	This location accepts medicaid.